My boys have re-discovered our Stamp Sets! I shared a basic, everyday set of Alphabet Stamping Sheets a while back. But, where it is the Holiday season, I decided to make my boys a Christmas Stamping Sheet Set. They have been loving the stamps all over again! It’s been fun, because Nathan is all over teaching Jeffrey his alphabet! 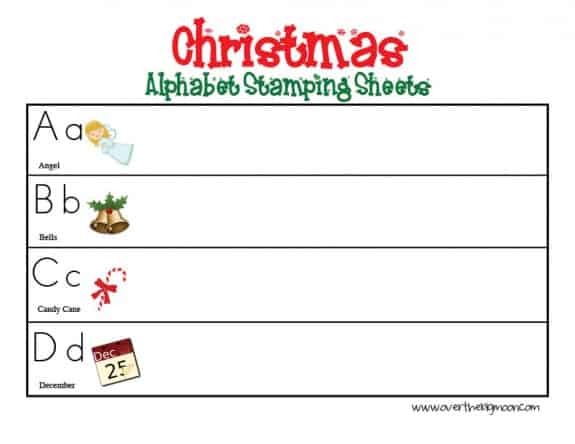 For those wondering – we have the Melissa and Doug Alphabet Stamp set and we have loved it! They are really nice quality and they have held up really well to all the little hands that have used them!